Xiong, Y., Zeng, L. and Liu, W. (2016). A proof-of-concept study in engineering synthetic protein for selective recognition of substrate-free polyubiquitin. Proteomics 16(14): 1949-1951. Xiong, Y., Peng, X., Cheng, Z., Liu, W. and Wang, G. L. (2016). A comprehensive catalog of the lysine-acetylation targets in rice (Oryza sativa) based on proteomic analyses. J Proteomics 138: 20-29. Xiong, Y., Zhang, K., Cheng, Z., Wang, G. L. and Liu, W. (2016). Data for global lysine-acetylation analysis in rice (Oryza sativa). Data Brief 7: 411-417. Liu, W. and Wang, G. L. (2016). Plant innate immunity in rice: a defense against pathogen infection. Natl Sci Rev 3: 295-308. Xie, X., Kang, H., Liu, W. and Wang, G. L. (2015). Comprehensive profiling of the rice ubiquitome reveals the significance of lysine ubiquitination in young leaves. J Proteome Res 14(5): 2017-2025. Liu, W., Liu, J., Triplett, L., Leach, J. E. and Wang, G. L. (2014). Novel insights into rice innate immunity against bacterial and fungal pathogens. Annu Rev Phytopathol 52: 213-241. Liu, W., Liu, J., Ning, Y., Ding, B., Wang, X., Wang, Z. and Wang, G. L. (2013). Recent progress in understanding PAMP- and effector-triggered immunity against the rice blast fungus Magnaporthe oryzae. Mol Plant 6(3): 605-620. Liu, W., Zhou, X., Li, G., Li, L., Kong, L., Wang, C., Zhang, H. and Xu, J. R. (2011). Multiple plant surface signals are sensed by different mechanisms in the rice blast fungus for appressorium formation. PLoS Pathog 7(1): e1001261. Ding, S. L., Liu, W., Iliuk, A., Ribot, C., Vallet, J., Tao, A., Wang, Y., Lebrun, M. H. and Xu, J. R. (2010). The tig1 histone deacetylase complex regulates infectious growth in the rice blast fungus Magnaporthe oryzae. 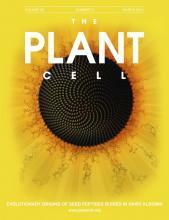 Plant Cell 22(7): 2495-2508. Liu, W., Xie, S., Zhao, X., Chen, X., Zheng, W., Lu, G., Xu, J. R. and Wang, Z. (2010). A homeobox gene is essential for conidiogenesis of the rice blast fungus Magnaporthe oryzae. Mol Plant Microbe Interact 23(4): 366-375. Li, Y., Kabbage, M., Liu, W. and Dickman, M. B. (2016). Aspartyl Protease-Mediated Cleavage of BAG6 Is Necessary for Autophagy and Fungal Resistance in Plants. Plant Cell 28(1): 233-247. Liu, J., Park, C. H., He, F., Nagano, M., Wang, M., Bellizzi, M., Zhang, K., Zeng, X., Liu, W., Ning, Y., Kawano, Y. and Wang, G. L. (2015). The RhoGAP SPIN6 associates with SPL11 and OsRac1 and negatively regulates programmed cell death and innate immunity in rice. PLoS Pathog 11(2): e1004629. Wang, X., Jiang, N., Liu, J., Liu, W. and Wang, G. L. (2014). The role of effectors and host immunity in plant-necrotrophic fungal interactions. Virulence 5(7): 722-732. Chen, S., Songkumarn, P., Venu, R. C., Gowda, M., Bellizzi, M., Hu, J., Liu, W., Ebbole, D., Meyers, B., Mitchell, T. and Wang, G. L. (2013). Identification and characterization of in planta-expressed secreted effector proteins from Magnaporthe oryzae that induce cell death in rice. Mol Plant Microbe Interact 26(2): 191-202. Liu, J., Li, W., Ning, Y., Shirsekar, G., Cai, Y., Wang, X., Dai, L., Wang, Z., Liu, W. and Wang, G. L. (2012). The U-Box E3 ligase SPL11/PUB13 is a convergence point of defense and flowering signaling in plants. Plant Physiol 160(1): 28-37. Zhou, X., Liu, W., Wang, C., Xu, Q., Wang, Y., Ding, S. and Xu, J. R. (2011). A MADS-box transcription factor MoMcm1 is required for male fertility, microconidium production and virulence in Magnaporthe oryzae. Mol Microbiol 80(1): 33-53. Li, Y., Wang, C., Liu, W., Wang, G., Kang, Z., Kistler, H. C. and Xu, J. R. (2011). The HDF1 histone deacetylase gene is important for conidiation, sexual reproduction, and pathogenesis in Fusarium graminearum. Mol Plant Microbe Interact 24(4): 487-496. Liu, W., Iliuk, A., Tao, A. and Ding, S. (2011). Identifying protein complexes by affinity purification and mass spectrometry analysis in the rice blast fungus. Methods Mol Biol 722: 157-166. Wang, Y., Liu, W., Hou, Z., Wang, C., Zhou, X., Jonkers, W., Ding, S., Kistler, H. C. and Xu, J. R. (2011). A novel transcriptional factor important for pathogenesis and ascosporogenesis in Fusarium graminearum. Mol Plant Microbe Interact 24(1): 118-128. Zheng, W., Zhao, Z., Chen, J., Liu, W., Ke, H., Zhou, J., Lu, G., Darvill, A. G., Albersheim, P., Wu, S. and Wang, Z. (2009). A Cdc42 ortholog is required for penetration and virulence of Magnaporthe grisea. Fungal Genet Biol 46(6-7): 450-460. Chen, X., Liu, W., Zhao, C., Liu, S., Razee, M., Lu, G. and Wang, Z. (2009). Functional Analysis of Two Laccase Genes in Magnaporthe grisea. In: Wang, G. L. and Valent, B. (Eds). Advances in Genetics, Genomics and Control of Rice Blast Disease. Springer pp: 51-57. Zhao, C. J., Wang, A. R., Shi, Y. J., Wang, L. Q., Liu, W. D., Wang, Z. H. and Lu, G. D. (2008). Identification of defense-related genes in rice responding to challenge by Rhizoctonia solani. Theor Appl Genet 116(4): 501-516. Zheng, W., Chen, J., Liu, W., Zheng, S., Zhou, J., Lu, G. and Wang, Z. (2007). A Rho3 homolog is essential for appressorium development and pathogenicity of Magnaporthe grisea. Eukaryot Cell 6(12): 2240-2250. Ruan, Z., Liu, W., Zheng, W., Lu, G. and Wang, Z. (2007). Composition of lineage and virulence type of the Magnaporthe grisea population derived from the nurseries and fields in Fujian Province of China. Acta Phytophylacica Sin 34(5): 480-486. Liu, W., Ruan, Z., Zheng, S., Zhao, C., Zheng, W., Lu, G. and Wang, Z. (2005). Resistance of Rice Major Pi-genes to the Magnaporthe grisea population in Fujian, China. Acta Phytopathol Sin 35(6): 526-531.